Trade Card. 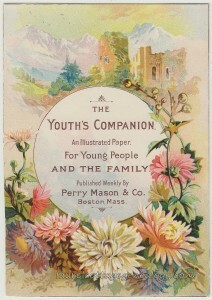 The Youth’s Companion. Boston, Mass. 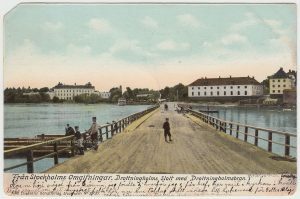 Circa 1887. What a beautiful illustration (!) and perfect for autumn with the gorgeous mums in the foreground. The background delights us, as well, with a castle, mountains and an unusual pale green-tinted sky. The Youth’s Companion ran from 1827 – 1929 when it merged with The American Boy. 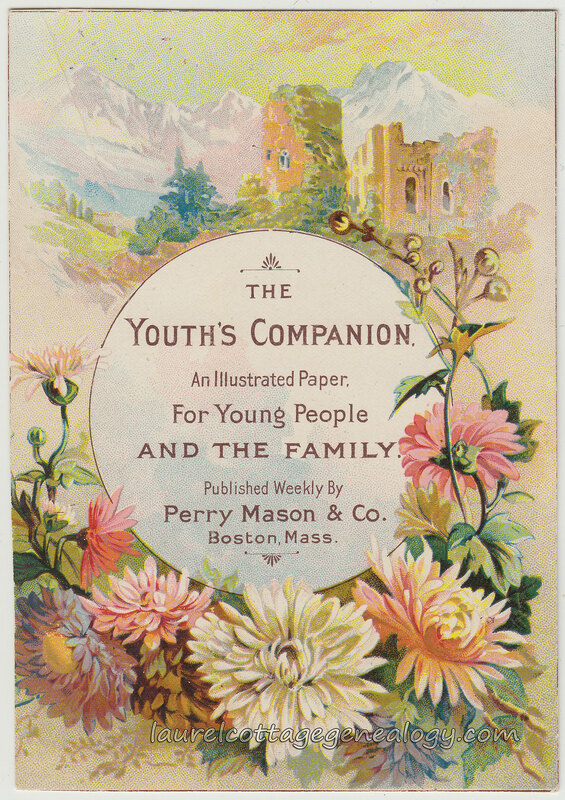 The Companion, like the back of the card states, was popular with adults as well as children, and ran contributions from many famous authors…..I’m thinking there must be many “stories within the story” here (very fitting for a magazine) but one is it’s “connection” to The Pledge of Allegiance and another is it’s connection (in the future) with the fictional character Perry Mason. Check out the Wiki article. And see Dr. John W. Baer’s “Chapter Two: The Youth’s Companion’s Pledge” (2007) for an in-depth look as to who wrote the Pledge of Allegiance and more about The Youth’s Companion. As far as the date for the trade card, we’ll estimate 1887, as Pinterest shows the same card that we have, and along with it, a very similar one with an 1887 calendar. 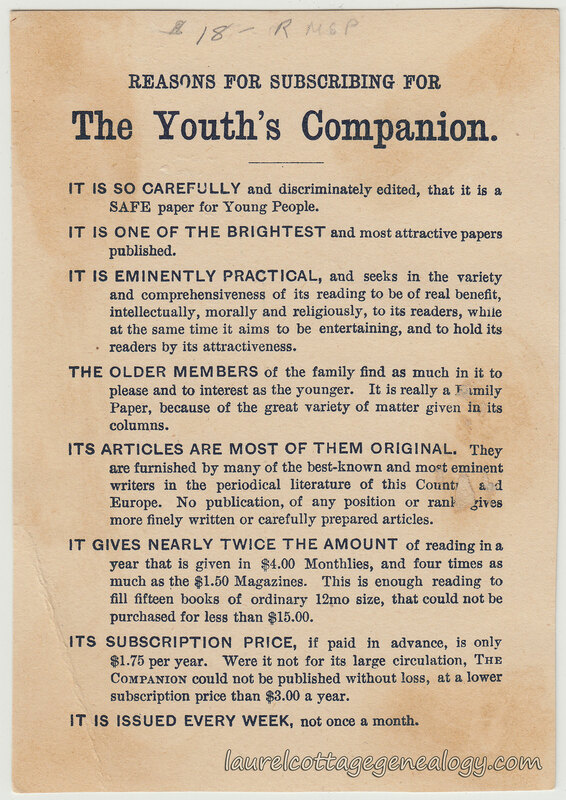 Sources: The Youth’s Companion. 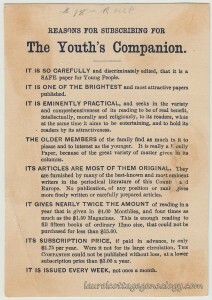 n.d. https://en.wikipedia.org/wiki/The_Youth’s_Companion. (accessed November 15, 2015). 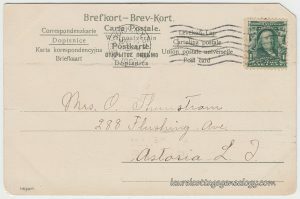 The year is unreadable on the postal marking which looks like it might indicate 24 July but the stamp is a brown three halfpence Postal Union Congress 1929 stamp. This was one of five special commemorative stamps that were issued on May 10, 1929 by the 9th Postal Union Congress. The PUC was a formal meeting that took place every four years between members of the UPU (Universal Postal Union). 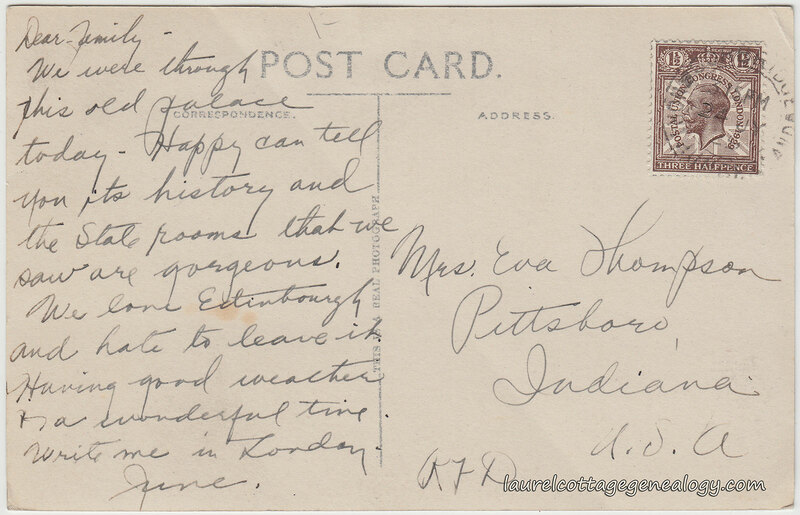 One could easily get led astray here: There is an Eva Thompson in Guilford Township, Hendricks County, but another Eva Thompson in Center Township, Hendricks County. Most likely the connection is with the second Eva: Center Township is closer (3 – 4 miles south) to Pittsboro than Guilford Township. And the 1920 Federal Census taken in Center Township shows Nathan J. Thompson, born about 1867, his wife Eva, born about 1867, and their children Milbern, Maurice and June. All are natives of Indiana. 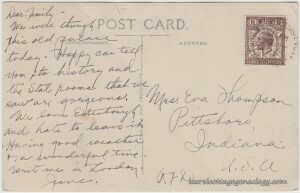 So, our postcard sender should be June Thompson, born about 1908, who is likely married to “Happy.” June would be about 22 years old then, when she would have addressed this postcard to her mother. Looking a little further we discover an October 1929 Laconia passenger list (Liverpool, England to New York, NY) for Milford and June Davidson (spelled Davison.) June’s date of birth on this record is June 3, 1907, and place of birth Danville, Indiana, which is in Center Township. Milford was born in Hanford, California, March 27, 1905. Find A Grave shows a June (Thompson) Davidson. June and Milford were living in Berkeley, California by 1930. Milford’s occupation is chemist. A couple of Peoria, Illinois city directories (1955 – 1956) list Milford and June, with Milford as chief chemist for Pabst Brewery. 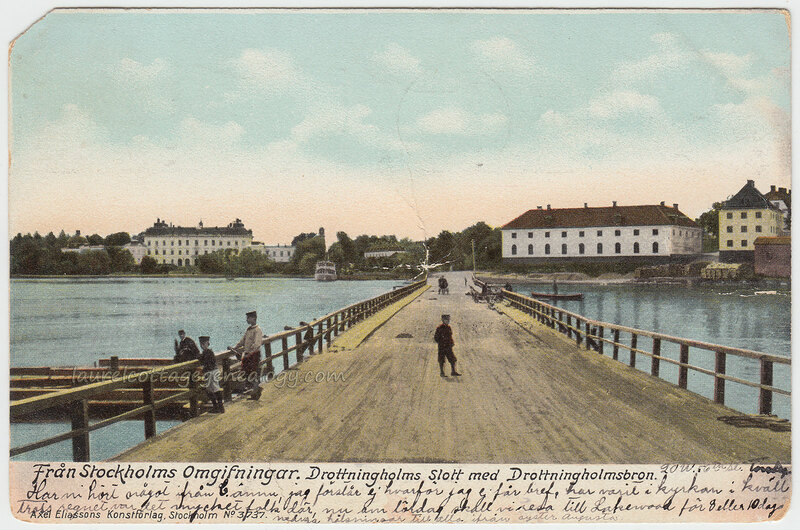 Divided back, used Real Photo Postcard. 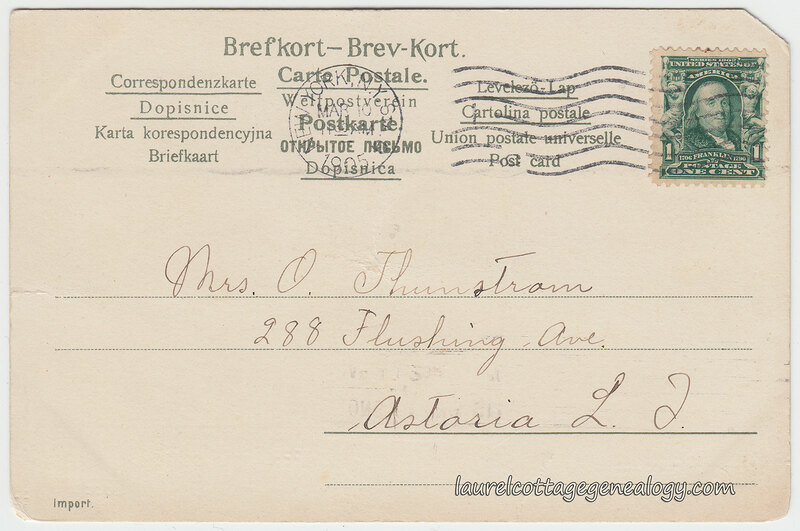 Postmarked July 24, 1929[?] 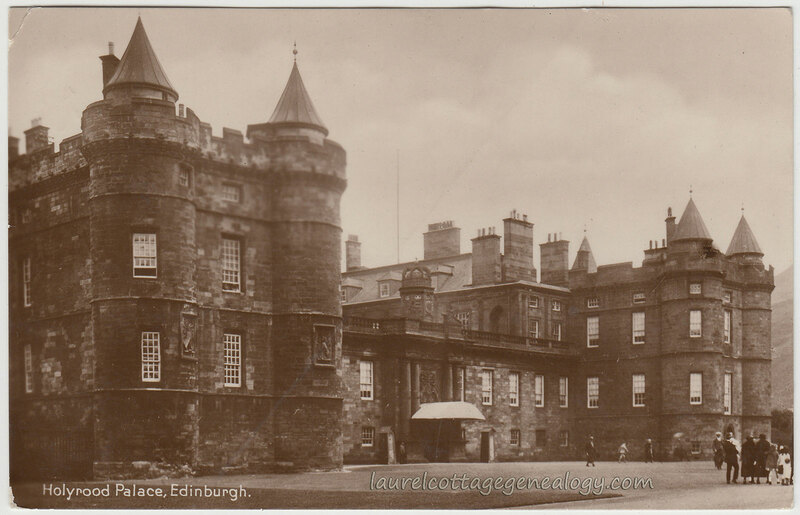 location difficult to read, possibly Edinburgh, Scotland. Find A Grave Memorial# 126019609. Find A Grave. Web accessed May 24, 2015.